Fik produktet øjeblikkeligt. Fungerer godt! Using a PlayStation Network Card is the easiest way to watch your budget with PlayStation Store purchases. With this card, or digital code rather, you do not have to link your credit/debit cards to the online PlayStation Store. 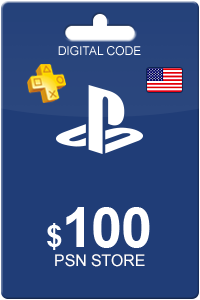 Once you have purchased the PlayStation Network Card for USD 30, you will have that value in credit to purchase your favorite games, movies, music, avatars and much more. Devices such as PSP, PS3, PS4 and PS Vita are all friendly with the PlayStation Network Card. Getting your PlayStation Network Card could not be easier. Simply input your basic information along with an online payment and you will be redirected to your digital redemption code. Not to worry, we also will send the same code to your email address for you to access later. Have even more fun with the online store with cards available in USD 30 and up. Click the links below for more information. Sådan køber du Playstation Network Card 30 USD? 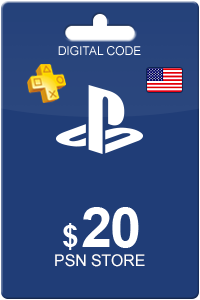 At købe Playstation Network Card 30 USD fra Livekort.dk er lige så let som 1 2 3! Du skal blot indtaste din emailadresse, vælge en betalingsmetode og fuldføre betalingen! Vi har nogle af de billigste Playstation Network Card 30 USD på markedet.